The registration costs 80,- euro per team, incl. a lovely diner AND! 10 euro will go to a charity. 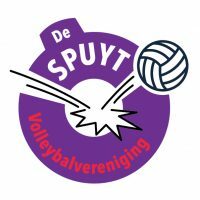 Please send the money to account number NL75 INGB 0005 9560 22 marked with ‘Spuyttoernooi and the team name’. Am I still in time?! 32 teams in 8 poules can join and… there are some spots left! Do you want to eat something, but you don’t wanna play? That’s possible! Non-playing guests have the possibility to enjoy the buffet for 3 euro’s which can be paid in cash during the evening. Please indicate in advance how many people you expect to join. See ya on the 12th of January in the Blauw-Wit hal!